If you are considering building a stone fireplace in your home, you have two basic choices. You can build the stone fire place using either natural stone or cultured stone. Both natural and cultured stone fireplaces have their unique pros and cons which I will elaborate on in the ensuing paragraphs. When building our lake home many years ago we chose to build a stone fireplace instead of the traditional brick one. 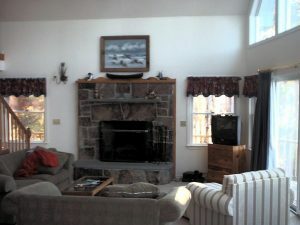 A stone fireplace just seemed more appropriate to have on the shores of Lake Winnipesaukee than a brick one. We built our stone fireplace using natural granite stone that was picked off fields in our local area. We were able to go this route since we live in the great state of New Hampshire, which has the nickname “Granite State”. Though we had easy access to granite stone, it was not cheap. The cost of our stone fireplace was three times a brick equivalent. Our granite stone fireplace cost $18K to build in 1999. A brick fireplace quote for the same project came in at around $6K. If we had done a cultured stone fireplace, on the other hand, we could have saved a lot of money. Natural stone is real and very traditional when it comes to building stone fireplaces. People have been building natural stone fireplaces forever. However, natural stone has its unique issues. First and foremost is it is extremely heavy, and thus difficult to work with. It is also very expensive for the same two reasons, plus the fact that it is not readily available in all areas of the country and world, particularly if you are interested in a stone that is not indigenous to your local area. Natural stone options for building stone fireplaces are also somewhat limited. Besides Granite stone, Marble, Travertine, Slate and Limestone are commonly used. This said, no one piece of natural stone looks identical so each natural stone fireplace is unique in its own way. Culture stone is manufactured using lightweight cement, dyes, and stone aggregate. It can be manufactured into a variety of shapes and sizes, and is available in a variation of colors and textures. Culture stone is manufactured to resemble natural stone, and quite honestly from even close up it looks like the real thing. Culture stone is manufactured to resemble a variety of stone types including, Granite, Limestone, Marble, Travertine, and river rock. Culture stone manufacturers typically offer 50 year warranties against fading and cracking of the stone. Cultured stone offers a number of benefits. It’s lighter, less expensive, and easier to work with. You can also order it in a number of standard sizes. Moreover, it also has a slightly more vibrant look to it and is actually a more durable stone product for fireplaces. Also, because of its lighter weight, and the fact that it is manufactured at a factory, shipping and transportation costs to the jobsite are less than natural stone. In terms of building a stone fireplace, natural stone requires a masonry block fireplace to initially be built and then the natural stone is affixed to it with mortar. The masonry block is required to support the massive weight of natural stone. As a result of needing a masonry block fireplace frame to support the natural stone, the cost of building a real stone fireplace is very expensive. Cultured stone fireplaces, on the other hand, do not necessarily need a masonry block fireplace frame to adhere the cultured stone to. Because of their light weight, they can be affixed to a wood sheathed fireplace chimney frame structure. The chimney frame structure is constructed out of 2×4 studs and plywood, which contains within it a zero clearance stainless steel liner. Cultured stone can also be affixed to a masonry block fireplace just as well if so desired, but again, there is no need for it. To attach the cultured stone veneers to a plywood sheathed fireplace chimney frame, metal lath is first fastened to the chimney frame. Then a thin scratch coat of mortar is applied to the metal lath, whereupon the culture stone veneers are then attached. Due to cultured stone’s light weight, it is easier to work with and install. Thus, a mason can install them with less supporting labor to help manage the lifting of heavy stones. In addition, since cultured stone veneers come in regular shapes and sizes, they don’t need to be custom cut or chipped before installing. With natural stone each stone has to be examined and then cut / chipped to fit into the desired location. 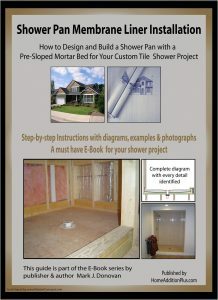 This effort takes time and craftsmanship to do efficiently and effectively. Another big advantage with cultured stone is the fact that more unique stone fireplace designs can be created due to the fact that the stone veneers have standard shapes and sizes. 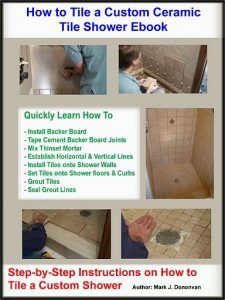 This may sound counterintuitive, but think about ceramic tile and the infinite amount of ways you can create unique pattern designs in a tiled floor, wall or shower by using various standard size tiles. With cultured stone fireplaces you have a lot more design freedom. There are, however, a couple of negatives associated with cultured stone. First, it is more moisture absorbent. Second, if it is chipped the interior of cultured stone veneer will look dissimilar to the outside surface of the veneer. As a result, a little more care is required with a cultured stone fireplace. Also, when building a stone fireplace with cultured stone, some care has to be made to ensure that unintentional repeating patterns in the construction of the fireplace do not occur. To conclude, you can’t go wrong with either a natural stone fireplace or a cultured stone fireplace. Both have their unique pros and cons. However, cultured stone fireplaces cost less to construct. Consequently, if you really want a stone fireplace, but have a limited budget, cultured stone is probably your best route.